Common Jasmine is a flowering plant native to Iran, Indian Himalayas and China. It is also known as Summer Jasmine, White Jasmine or True Jasmine and is admired for the intense soothing fragrance of its flowers. It is a vigorous twining bright deciduous climber plant with sharp pointed evergreen leaves. Common Jasmine starts blooming clusters of white flowers in early summer and continues until frost. These flowers release an aromatic scent specially at dusk when surroundings are warm and humid. The flowers are used to produce an essential herbal oil used in aromatherapy. Jasmine is acknowledged for its use as an aphrodisiac and its oil finds application in dermatology. Common Jasmine is hardy climber suitable for coastal gardens. Use them as ground covers, vine or as a sprawling shrub near your garden entrance. 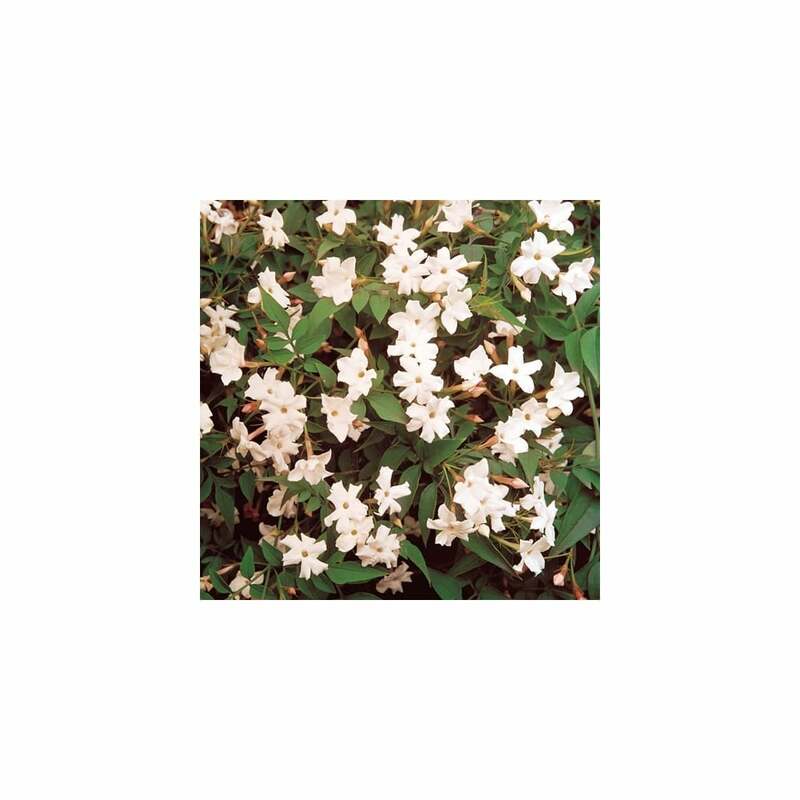 This Jasmine has strong roots that aid in surviving moderate cold climates without protection. It thrives in any well-drained moderate fertile soil with medium moisture. Your neighbours will fail to neglect the enchanting fragrance from your Common Jasmine garden when its beautiful 2-3cm wide flowers open in clusters of 3-5. Prune out thin old offshoots after flowering to see this Common Jasmine profusely bloom fresh new batches of flowers within few weeks. As with any climber plant, Common Jasmine requires some basic maintenance to control its growth.